Do you love the look of tall-growing perennials swaying in the summer breeze—but want to keep those flowers upright when summer storms and high winds hit? 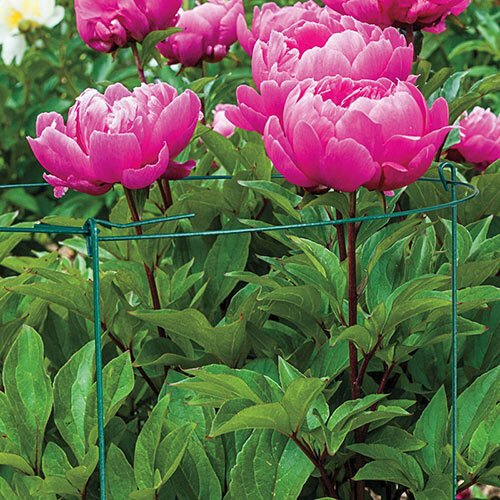 Our four-legged plant support is designed to hold perennials like peonies, iris, delphiniums, dahlias and tall phlox upright. The four legs are pushed into the soil and hold up the single ring. Supports are made of 6.25-gauge galvanized steel that is green powder coated and blends in with the flowers. The sturdy supports are reusable and fold flat for easy winter storage. 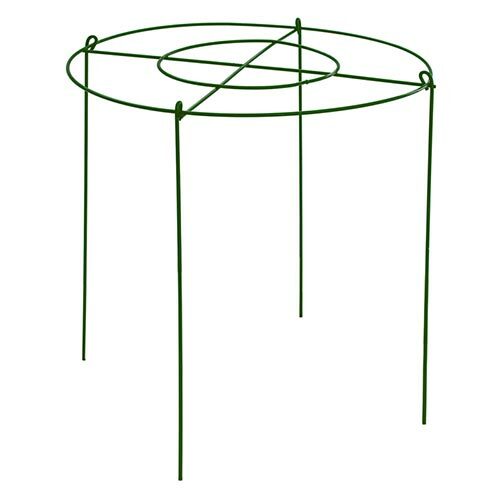 23"H x 19"Diameter ring.